Tip 1: Start off with your eyes first, this way you can clean up any eyeshadow that fell under the eyes. 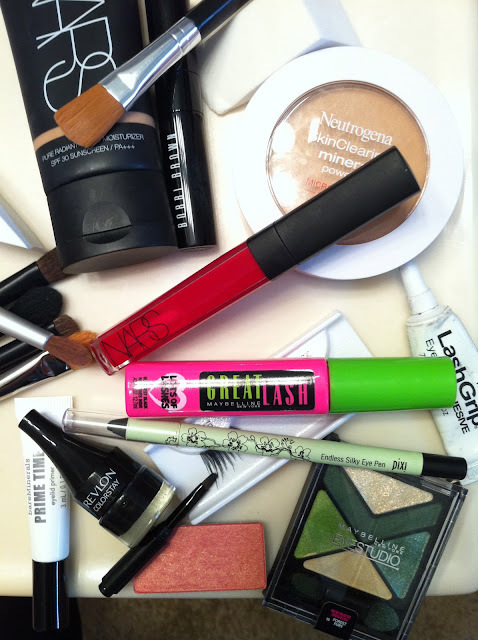 Tip 2: Prep your eyes using an eyeshadow primer from lash line to the brow bone, it keeps your eyeshadow on all day long. You can also use it under your eyes to make your concealer last! Tip 3: I start off with the one of the lighter color of the eyeshadow palette, then gradually move on to darker. Tip 4: Use a tapered blending eye shadow brush to blend the color using a circular motion. Tip 5: Create a tight line on your lash line to make your lashes appear thicker and fuller! Tilt your head up and have your eyes looking down, then draw little dots right on your lash line. Tip 6: Apply your mascara side to side as your pulling it up to ensure every lash coverage. Tip 7: Using a tweezer to apply your false lashes will help you with better application. Make sure you wait about 5 seconds after applying the adhesive on the band of the lash so it stick better to your skin. Tip 8: Groomed brows are always a must, use a brow groomer and fill them in! Tip 9: When you are done applying your eye makeup, clean up any extra eyeshadow that fell under your eyes with a makeup sponge. Then start applying your foundation with concealer following. Tip 10: Set your makeup with a pressed powder to erase any shine! Tip 11: Finish it off with a peach blush and a rosy gloss! 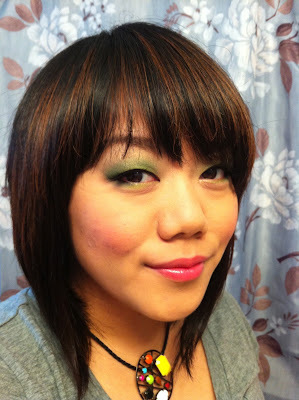 These are few of the products I used for my green eye tutorial. Have a safe St. Patty's day and have fun!